Melanotan peptides are safe and efficacious with growing long term data. 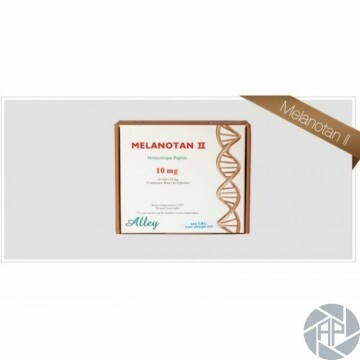 Melanotan 2 is a freeze dried peptide sealed in a sterile multi-use vial. Tanning injections of synthetic potent a-MSH allow for development of photo-protective suntans in all skin types. Melanotan II is a small efficient molecule as compared to the linear original Melanotan II design after natural melanocyte stimulating hormone peptide. Melanotan is approximately 1,000 times more potent than natural a-MSH. Transient side effects of nausea, stretching and yawning, and decreased appetite were reported more frequently after injections of Melanotan-II than placebo but none required treatment.